That’s right, nice people! Barring unforeseen circumstances, the first print run of Jonah (all twenty-five copies) will be for sale at MeCAF in under a week! Tell your friends! Good luck to you, Jeremy, and Jonah at the con! 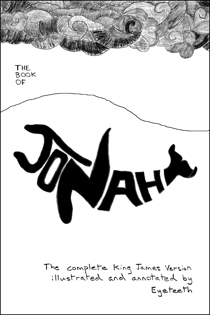 Also I am very interested in a copy of Jonah and if you happen to have any left over I would like very much to buy one. Up to you, no pressure, I’ll also grab one from the second printing if you do one. I am just so charmed by Jonah, the grumpiest and most unwilling prophet of all. 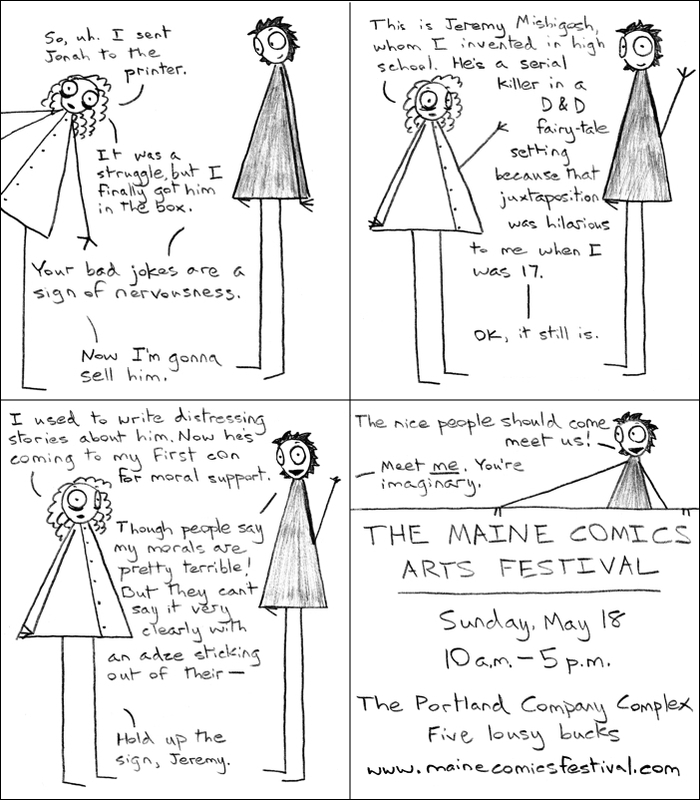 As a long-time reader of this comic and person who lives far away from Maine, I’d be interested in knowing how / when I could get a copy of the book. I hope the festival goes well for you. Don’t worry, it will soon be available for purchase online. I’m so glad to see interest! I actually got my copy in the mail just a day or two ago. I enjoyed it quite a bit. Excellent! Please consider leaving a review at the sale page.